The biggest names in business, when it's all about who you know. What are the 500 largest companies on the Gulf Coast? Which are the fastest growing? The largest employers? How about what’s the top company in any given industry? It’s all inside this year’s Top 500. The 2018 Top 500 ranks the largest 500 companies from nine counties from Polk to Collier, by revenue, and includes a valuable listing of those companies' contact information. In addition to the list, the Top 500 also features strategies and stories of the region's largest companies, and bits of information you may not know about them. The book is a one-of-a-kind resource for networking, marketing and research in Southwest Florida. If you are looking for business-to-business contacts or want to stay current on the major players in area business, the Top 500 is a must-have. The list is available in three convenient versions to best meet your needs. Take a sneak peek inside and see purchase options below. Want to be included in the 2019 book? Click here to submit your information. Receive the printed book for easy reference and reading. This version includes the list of the top 500 companies, ranked by 2017 revenue, as well as 2016 revenue, number of employees, year founded, top executive and line of business. It also includes profiles of companies on the list, and a listing of the 50 fastest-growing companies, the 50 largest employers, the 50 biggest decliners and the list sorted by industry and alphabetically. With this option, get an Excel file to easily import the list of 500 companies and their contact information, including company name and address. 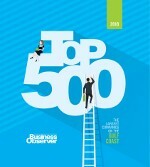 Receive the print edition of the book as well as an Excel version of the complete list of top 500 companies. This includes valuable contact information such as the companies’ mailing address, phone, website, year founded, CEO names, line of business and their revenues for 2017 and 2016. *BEST DEAL! 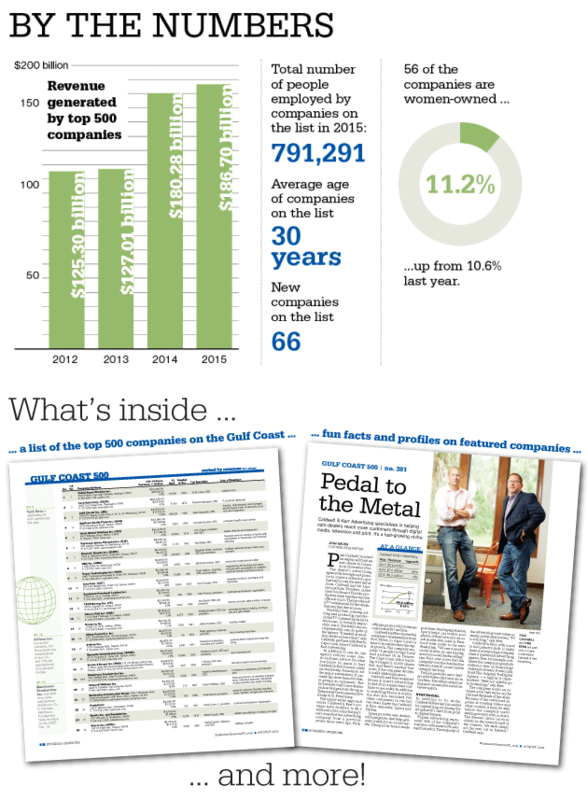 You’ll receive the printed version of the Top 500, complete with the 2018 ranking of the top 500 companies and stories and facts about them, in the mail. Receive a downloadable Excel file with mailing information for all 500 companies on the list. Download an Excel file with the complete list of information for the 500 companies on the 2018 list, including contact information, CEO names, revenues and more. Plus, you’ll receive the printed book with company stories and strategies. *Best Value!